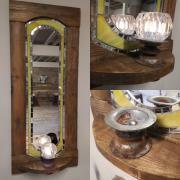 This shorter version of our sconce mirrors is made from recycled cable reel wood. 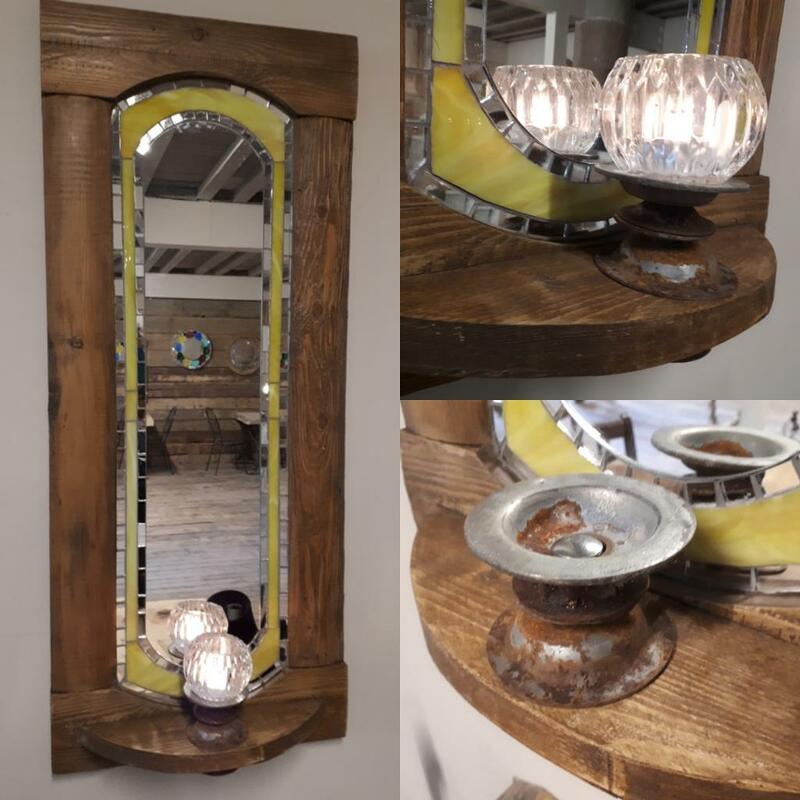 The sconce is made from the metal washers that used to hold the cable reel together. 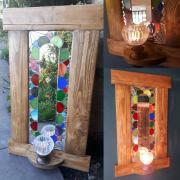 There are beautiful hand cut stained glass petals & mirror mosaic. It is £15 to post inland to most UK postcodes. 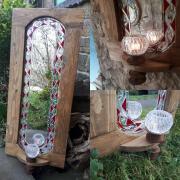 It can also be made to order without the candle sconce for £100. This frame is made from slats of wood from an upcycled cable reel and the candle sconce is made from the metal washers that used to hold the cable reel together. The border of mosaic is a lovely petal pattern and as it's so neutral it could fit in any space or colour scheme. 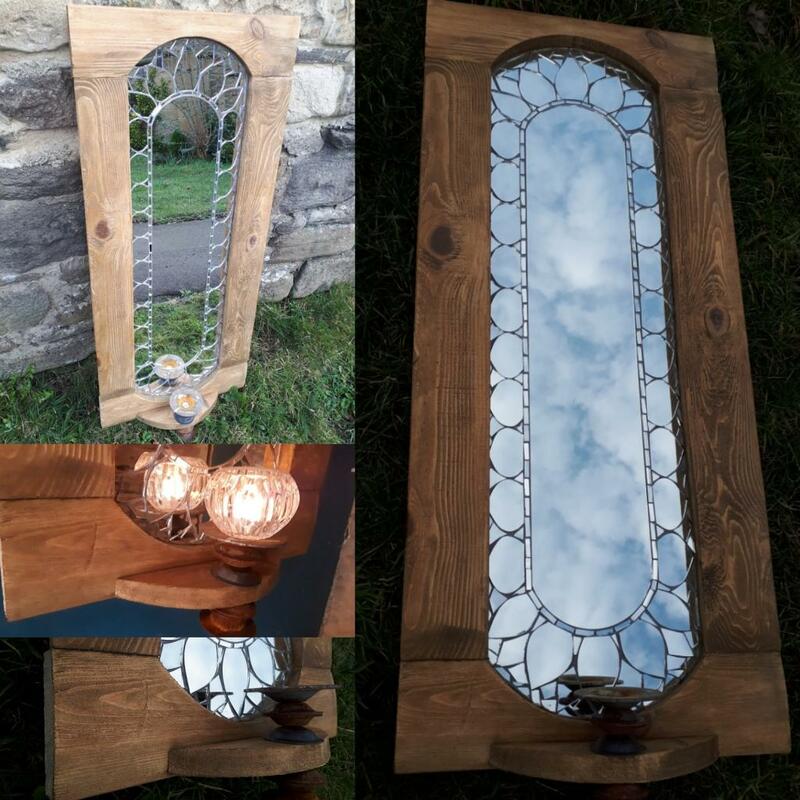 It can also be made to any size. 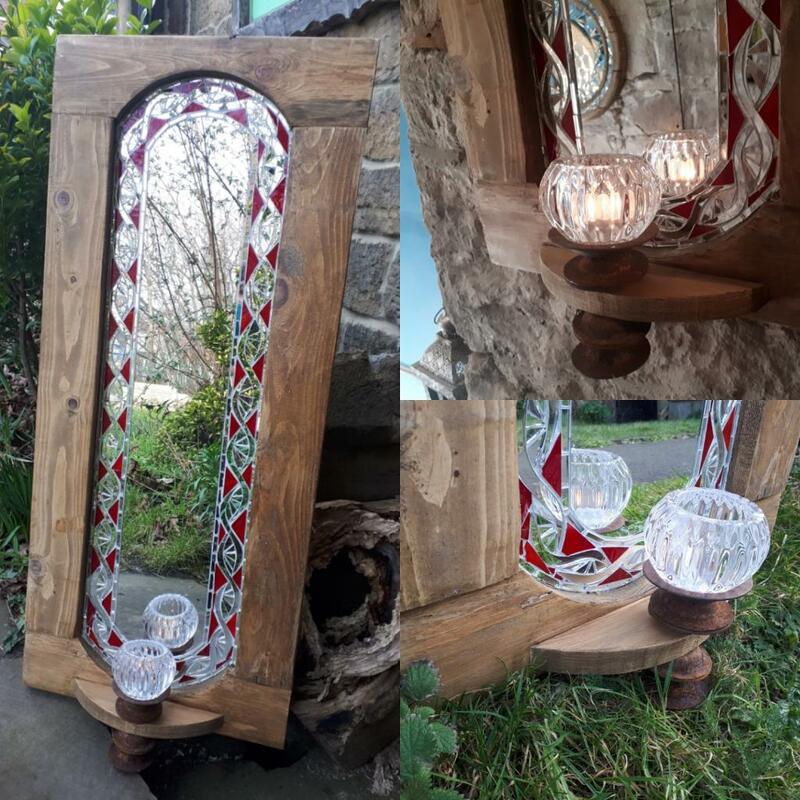 This one is 96cm long and 101cm including the candle sconce. 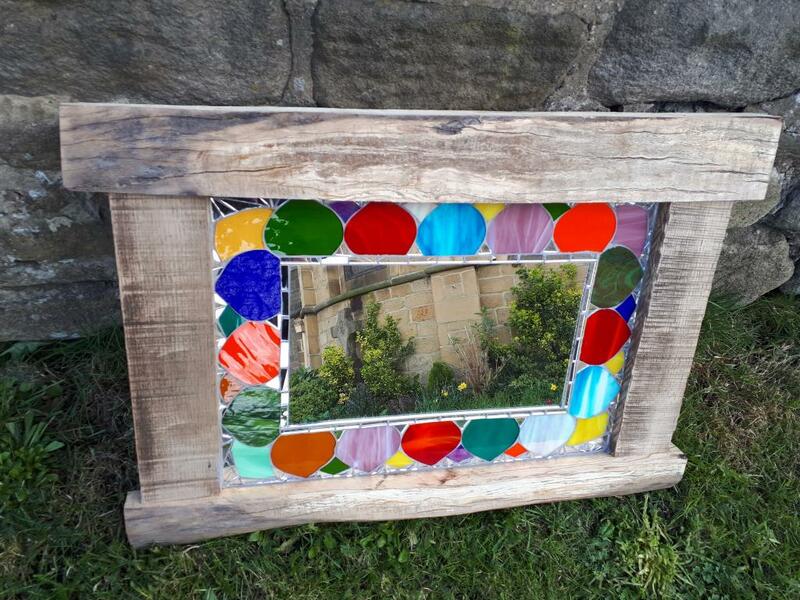 A large oak framed mosaic mirror with iridescent black stained glass and ceramic features.